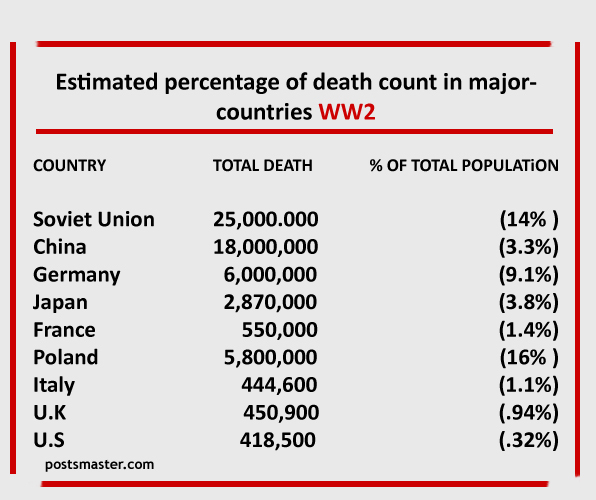 It is real hard to figure out the exact death toll of World Wars. Peoples forced to leave home country and take refuge in other countries. This makes complications while counting death toll. A country is facing its worst political and economic crisis at the time of great dangers like a war. A stabilised goverment or system is necessary to conduct surveys. 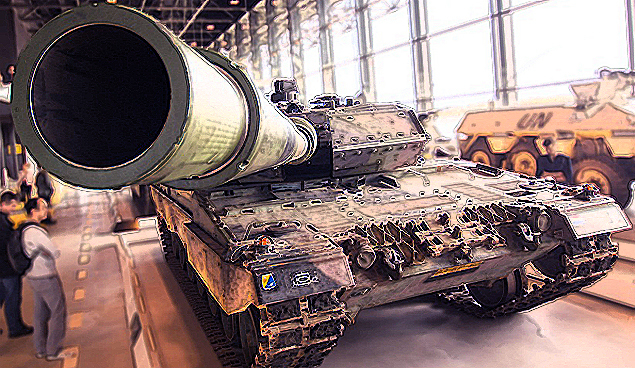 Great wars might result a radical change in countries ruling system. The possible amount of time requires to re-establish its own government reduce the accuracy to a higher extends while taking surveys. Unofficial record points out over 90-100 million were killed in World War 2, while official records estimate about 70 million, which was about 3.5% of world population in 1940. World war 2 was fought between axis powers and allied powers. Allied powers (big five) are formed by U.S, Britain, Soviet union, France and China . Of all killed over 60 % were civilians. In the Soviet Union, 80% of males born in 1920 were killed in World War 2.